Pakistan’s shenanigans leading to the last minute cancellation of the National Security Adviser-level meetings with India, which had been scheduled for end-August this year, portended the fate of the negotiations and were a part of the high voltage drama that preceded the ominous denouement. 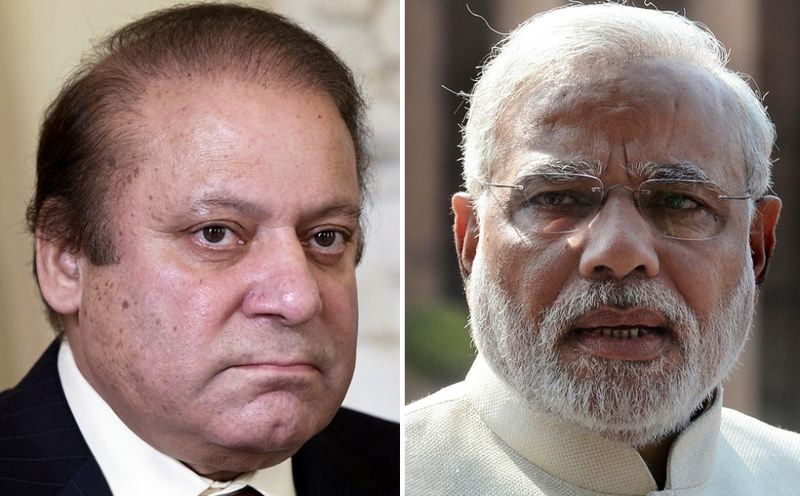 Pakistan’s announcement, calling off the talks, came neither as a surprise nor as a shock. India had already called Pakistan’s bluff when it made the ground rules for the talks abundantly clear. India would not acquiesce to the importunate demands of Pakistan for the expansion of the scope of the talks beyond terrorism and for its envoy to be allowed to meet the Kashmiri separatist leaders during his visit to Delhi for the talks. Pakistan called off the talks purportedly on the grounds that talks, if held on India’s “preconditions”, would serve no purpose, making it obvious to India and the rest of the world that the only “purpose” it had in mind was the appropriation of the whole of Kashmir, part of which has already been under its forceful occupation. Pakistan would be ready for talks at the NSA-level or, for that matter, at any level, only if it is convinced that the talks centered around what it considers as the “core issue” of all talks between the two countries viz. Kashmir. Ironically, talks or no talks, Pakistan considers the use of terrorism as a low-intensity weapon fair and square. Whenever India has protested against acts of terrorism orchestrated on its soil by its Western neighbour and ceasefire violations by the latter’s troops, Pakistan has turned the table on India by feigning to be the real victim of the aggression and terrorism. Divided by the Shia-Sunni religious schism that has fuelled a spate of mindless violence with alarming regularity, which has already claimed the lives of thousands of its own people, Pakistan has been a fertile breeding ground of ragtag outfits with an extremely narrow religious orientation and unbridled political ambitions. Such militants have regularly and frequently trained their guns against India with aid and assistance from Pakistan’s Inter-Services Intelligence (ISI) agency and army. After infiltrating into India and creating mayhem and death by striking at vulnerable civilian targets, the terrorist elements sneak back to the safe haven of Pakistan, where they lie low till they embark on the next round of assault on Indian targets. Pakistan has not hesitated to accuse India of instigating and abetting terrorist activities in Balochistan and being the perpetrator of the border violations. Pakistan has never shied away from thumping its chest over its nuclear-power nation status and daring India to use its military might against it. This has been the pattern of events, marked by Pakistan’s unhelpful and unacceptable response to initiatives by India to discuss outstanding issues between the two countries. It is evident that Pakistan’s policy about India has been simple – Kashmir-centric. It is hardly interested in easing of trade restrictions or the improvement of people-to-people relations, like in the consular, sport and cultural fields. Any reference by India to the export of terrorism by Pakistan meets with stiff resistance and negation from the latter. Furthermore, Pakistan has not hesitated to vilify India of trying to act like a regional superpower against its smaller neighbour. The chequered relations between the two South Asian neighbours have witnessed many a conflict and upheaval over the years. The birth of the theocratic nation of Pakistan was the inevitable fallout of a diabolical plot foisted on India, poised on the threshold of independence from a colonial past of two hundred years. It was the outcome of an unholy nexus of the outgoing colonial forces, which were none-too-happy about the prospects of the emergence of a strong united India on the one hand, and fundamentalist religious elements of the sub-continent with a warped mindset that wanted to carve out a geographical niche where they could perpetuate their medieval religious dogma and procrustean value system, on the other. The cataclysmic events that led to India’s partition, marked the most tragic and portentous moment in the post-colonial history of India, having taken a toll of over a million lives and hundreds of thousands of broken homes, migration of over seventeen million people between the two countries and the consequent loss of home and hearth, constituting the most horrendous human tragedy of a colossal scale seldom witnessed in history. Immediately after India’s partition, Muslim tribal militias entered the border of the Princely State of Kashmir and tried to secure large areas for Pakistan. They were actively assisted in the bid by regular Pakistani troops. In the ensuing conflict, the Indian Army came to the rescue of the Princely State’s forces at the request of Maharaja Hari Singh, who entered into the Instrument of Accession with India. After a prolonged war and protracted negotiations, a cease-fire agreement was signed by the two countries under the watch of the United Nations. As per this agreement, Pakistan was required to withdraw its forces, both regular and irregular. It allowed India to retain a minimum strength of its forces in Kashmir to maintain law and order. Further, on the compliance of these conditions, a plebiscite was to be held to determine the future of the territory. However, Pakistan managed to takeover roughly two-fifths of Kashmir while India maintained the remaining three-fifths. There has been no headway on the Agreement since Pakistan has been unwilling to withdraw its troops although insistent on the plebiscite, which is a non-starter. Overall, the two neighbouring countries have fought three major wars and an undeclared war, besides being involved in numerous armed skirmishes and military stand offs. Till date, wars and armed conflicts have not helped in the resolution of the Kashmir logjam. Nor is either country looking at war as a viable option in the changed scenario of both the countries being in possession of nuclear weapons. The prospect of a nuclear warfare has worked as an effective deterrent on both the sides. There has consequently been a military standoff with no peaceful solution in sight to the vexatious problems bedevilling the relations between the two countries ever since their emergence as sovereign free countries in 1947. Meanwhile, India has witnessed a steady stream of insurgents from across the border infiltrating into its territory with the sole aim of causing grievous body blows to the Indian polity. Notwithstanding the heavy casualties and damage caused to the smooth functioning of their economic and social life, the Indian people as well as the political and defence establishments, have emerged much stronger and successful in their resistance against the nefarious activities of the terrorists and covert military operations of the Pakistani intelligence and army. Besides Kashmir, there have been other unresolved territorial claims by Pakistan such as over Siachen Glacier and Kori Creek that have been put on the back burner, with primacy accorded to the vexatious Kashmir issue. Pakistan has been stubborn in its demand for the resolution of the “core issue” of Kashmir, without relenting to withdraw from those parts of Kashmir which had been illegally occupied by its forces in 1947. In 1949, close to one million Hindu refugees from the then East Pakistan, fleeing from extortion and persecution by the Pakistani authorities, had flooded West Bengal and the other Indian States. Following talks between Prime Minister Jawaharlal Nehru and his Pakistani counterpart Liaquat Ali Khan, a pact was signed between the two sides which provided for the return of hundreds of thousands of refugees to Pakistan. Furthermore, there are unresolved disputes over apportionment of water, arising from the Indus Waters Treaty, which governs the rivers flowing from India into Pakistan. Frustrated by its failed military bids to forcibly capture Kashmir, and inability to drum up sustained international support for its case, Pakistan seems to have reconciled to the idea of keeping up the pressure on India, by mounting terrorist attacks under cover by its army. While playing the role of ally of Western powers in their war against global terrorism, and receiving billions of dollars worth of economic and military aid in return, it has been allowing scores of transnational terrorist outfits to thrive and flourish on its soil. Some of the terrorist organizations created and nurtured by Pakistan include Hizb-ul-Mujahideen, Harkat-ul-Mujahideen (previously known as Harkat-ul-Ansar), the Haqqani network, Lashkar-e-Taiba, Jaish-e-Mohammad, and scores of other organizations. The aim of these organizations is to create mayhem and instability in India and its neighbourhood, terrorize the civilian population, make the State machinery vulnerable to change in perception of a terrorized civilian population and drain the resources of the State in the process of keeping its security forces perennially alert. Former President of Pakistan Asif Ali Zardari acknowledged in July 2009 that the Pakistani government had “created and nurtured” terrorist groups with the aim of accomplishing its short-term foreign policy goals. An analysis published in 2008 by Saban Centre for Middle East Policy at Brookings Institution depicted Pakistan as the world’s “most active” state sponsor of terrorism, including aiding groups. For the past so many years, Pakistan has aided quite a good number of terrorist groups, which have been fighting against India in Kashmir. Over and above this, it has also been a major sponsor of Taliban forces fighting the US-backed government in Afghanistan. Pakistan could not reconcile to the good work being done by India in Afghanistan for the latter’s stability in political, economic and social sectors. It could not accept an enhanced level of bilateral relations between India and Afghanistan and has been using every available opportunity by covert means to thwart the coming together of these two nations. The Indian embassy in Kabul became the target of a suicide bomb terror attack in July 2008. The US intelligence officials indicated that Pakistan’s powerful Inter-Services Intelligence agency had planned the attack. Although Pakistan tried to deny any responsibility, US President George W Bush reportedly confronted Pakistan’s Prime Minister Yousuf Raza Gilani with strong evidence. Bush also warned Gilani that in the case of another such attack he would have to take “serious action”. In May 2014, four heavily armed men carried out a terror attack on the Indian Consulate in Herat, Afghanistan, on the eve of Prime Minister Narendra Modi’s oath-taking ceremony to which Pakistan Prime Minister Nawaz Sharif had been invited. There was incontrovertible proof of ISI’s involvement in that attack. Similarly in December 2001, an attack on the Indian Parliament by four terrorists from Lashkar-e-Taiba and Jaish-e-Mohammad was foiled. This incident brought these two countries to the precipice of nuclear war. Moreover, an unsuccessful attempt was made on the Legislative Assembly of Jammu and Kashmir in November 2001 by terrorists trained by the ISI. In November 2008, 10 Pakistanis who were members of Lashkar-e-Taiba carried out a series of 12 coordinated shooting and bombing attacks, which lasted for four days across Mumbai. They killed 164 people and wounded at least 308. Ajmal Kasab, the sole terrorist who was caught alive, tried and executed by hanging, was a Pakistani national. He had confessed to the involvement of the ISI in the dastardly attacks. These are some of the landmark acts of terror carried out by Pakistani terror outfits that are financed, trained and supported with materials and logistics by its intelligence agency ISI and Army. 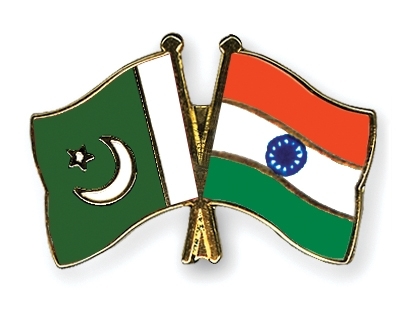 Despite copious documentary evidence of its involvement and complicity provided by India and widespread condemnation of these incidents by the international community, Pakistan is yet to act on India’s complaints against the masterminds of the mindless violence, who are roaming freely in Pakistan. Dawood Ibrahim, Hafiz Saeed and Zaki-ur-Rehman Lakhvi are some of India’s most wanted terrorists who have taken shelter in Pakistan. In 1999, an Indian Airlines aircraft bound for Delhi from Kathmandu was hijacked to Kandahar in Afghanistan. Maulana Masood Azhar, a dreaded terrorist who later became the Head of Jaish-e-Mohammad, was released from their custody by the Indian security agencies in return for the passengers of the hijacked aircraft. Despite India’s repeated requests for their extradition, Pakistan has either been saying that those terrorists are not in that country or complaining of lack of sufficient evidence to be able to take legal action against them. It is a clear case of Pakistan not wanting to act against its own interests. Currently, there are two Pakistani terrorists in Indian custody who are undergoing legal proceedings for infiltrating into India for carrying out acts of terror. It has not always been a case of the Indo-Pak relations going south all the time. Occasionally, there have been high points too. There have been several attempts to improve the relations, like the Shimla Summit, the Agra Summit and the Lahore Summit. Confidence building measures were initiated like the Ceasefire Agreement of 2003 and inauguration of a train service by the name of Samjhauta Express between Lahore and Amritsar in 1976; and inauguration of a bus service between Amritsar and Lahore in 1999 by the then Prime Minister Atal Behari Vajpayee who travelled by the bus to Pakistan on its inaugural run. Another bus service connecting Amritsar with Lahore and Nankana Sahib was started in 2006. Prime Minister Narendra Modi had invited the Heads of Government of all SAARC countries, including Pakistan, to his oath-taking ceremony in May 2014. He had a meeting with visiting Prime Minister Nawaz Sharif during which Pakistan was urged to cease terrorist activities in India, expeditiously conclude the cases of terrorists involved in the 2008 attacks in Mumbai and extradite all the terrorists wanted in India. The meeting was to be followed by Foreign Secretary-level talks, which were cancelled by India at the last minute on account of Pakistan’s unyielding obduracy about its envoy meeting Kashmiri separatist leaders. In July 2015, Prime Minister Modi met Nawaz Sharif in Ufa, Russia, on the sidelines of the Shanghai Cooperation Organization Summit. During the meeting, the two leaders agreed to have, among other things, talks at the levels of their National Security Advisers and Directors General of Military Operations. Narendra Modi also accepted an invitation to visit Pakistan in 2016 in connection with the upcoming SAARC Summit. Despite the agreement between the Heads of both the countries that there would be official level talks, and the 2008 Mumbai terror attack trial would be expedited by Pakistan, there has been no headway in the de-escalation of tensions. On the other hand, relations have nosedived on account of incessant terror attacks from across the border since 2011 and repeated violations of the border by the Pakistan Army. The inability of Prime Minister Nawaz Sharif to take on the ISI-Army nexus and present a concerted case of Pakistan at talks is contributing to the continuance of the stalemate. In the meantime, a determined India has scored a marked victory by showing its adversary the new red lines, which are not to be crossed. India’s efforts during the past seven decades to resolve outstanding issues bedeviling its bilateral relations with Pakistan have so far proved futile. During this period, the Government of India has tried out various policy measures and strategies to counter Pakistani terrorism and to bring to an end the undeclared war that its western neighbor has been waging on the borders right since its inception. Though none of them has yielded any positive results, the current NDA government has not given up hopes yet. However, Prime Minister Narendra Modi’s initiatives to hold talks – the first time at Foreign Secretary level and then at NSA-level – were scuttled by Pakistan, both the times at the last minute and on technical grounds. It has now become obvious that Pakistan’s initial acceptance of the proposals for talks and the subsequent act of pulling out of the peace process by insisting on meeting separatist Kashmiri leaders and extrapolating the scope of the talks agenda, were part of a carefully choreographed put-on act for stealing India’s thunder at the peace initiatives. Knowing well that it would have been pinned down on the mat at the negotiations on account of its complicity in hosting, promoting and equipping terror networks working against Indian interests, Pakistan took the easy way out and stayed away from the talks. Till such time as another peace initiative is mooted by India, Pakistan would continue using cross-border terrorism as part of its asymmetric warfare. This strategy of Pakistan is untenable and has to be exposed and defeated by India with an effective counter-strategy of its own. Although neither India nor Pakistan could afford yet another war in the changing world of shifting geo-tectonic political plates, Pakistan’s recalcitrance and obduracy pose a conundrum that India has the unenviable task of unravelling. Pakistan has already committed 192 ceasefire violations along the international border in Jammu and Kashmir till July 29 this year at the considerable cost of civilian and defence casualties. Chief of Army Staff General Dalbir Singh Suhag stepped in and pointed out that quite a high level of operational preparedness has now become a part of India’s strategy as there is recognition that the swift and short nature of future wars are unlikely to offer adequate warning time. Although the Pakistani Army Chief has warned India of “unbearable damage” in the case of a war, implying a nuclear attack, Pakistan’s braggadocio stood already exposed when it had threatened India earlier too, off and on, of its nuclear might. The last time this happened was in August this year when Pakistan’s NSA, Sartaj Aziz, had said that Pakistan was a nuclear power capable of taking care of itself. Pakistan’s excessive reliance on nuclear weapons and repeated threats to use them flow from that country’s internal weaknesses on account of rampaging unemployment, slow economic growth, surging religious intolerance, unabated rise in extremism, perennial conflict between various power centers and the country’s inability to match India’s strength in conventional warfare. Pakistan’s threat to use nuclear weapons is, therefore, to be treated as no more than empty bravado on the part of a failed state, teetering on the verge of an implosion, fully aware of an assured massive retaliation bordering on that country’s virtual obliteration, which it cannot afford. In the above backdrop, India should draw up a multi-dimensional strategy incorporating diplomatic, economic, political and military modes to rein in Pakistan from resorting to any adventurism against India and to impress upon it to do more to curb terrorist activities emanating from its soil. Diplomatically, India should press on with negotiating the terms of peace through diplomatic channels and flag meetings of the army personnel, for a total cessation of border incursions and export of cross-border terrorism and handing over of the terrorist elements wanted in India. If that does not yield the desired results, India should not hesitate to downgrade Pakistan’s mission to consular status and even oust Pakistan’s ambassador. Meanwhile, India can also contemplate economic sabotage by making its trade ties with Pakistan conditional to the latter delivering on terrorism. Politically, India should expose Pakistan by highlighting how the latter has been consistently sponsoring terrorist organizations, funding terrorist activities, spreading hatred between communities and violating ceasefire norms. By doing so, India would be in a position to change the narrative about this conflict and convince its international backers that there is no “India-Pakistan problem”. Rather, it is only a Pakistan problem as this country has now become an epicenter of terrorism. And unless the international community accepts this truth and joins hands to force Pakistan to abandon terror, nothing is going to change. Simultaneously, India can explore the scope for resorting to military options such as pounding of terrorist training camps in Pakistan-administered Kashmir and in other territories across the border, which is posing a serious threat to India’s border zones by short and swift operations using drones and unmanned aerial vehicles (UAVs). This multi-dimensional strategy seems to be the only way to deter Pakistan from continuing with the undeclared war it has been waging against India for almost seven decades now. This entry was posted in blog on October 15, 2015 by admin. India and Pakistan are born enemies and any attempt to improve relations are just waste of time. Both countries should work separately and India should not look for any compromises. Better to walk alone than to accept illegal demands. This is a complete insight into India-Pakistan relations. I am sure that Naredra Modi will not repeat the mistakes of Vajpayee Ji and he will be strict in dealing with Pakistan. No country can develop withour the contribution of neighbours and economic relations with them. It is time that both nations forget old diffrences and come forward for the betterment of their citizens. True that Pakistan sponsors terrorism in India and only way to stop them is to take international support and put aside Pakistan in a corner. All countries know that they endorse extremism but still support them. Why not directly talk to terror groups of Pakistan. I mean this is very strange to speak about but when pakistan politics is run by terrorists and ISI then talk to them directly. Results will be far better than depending on their PM. China and Pakistan are like brothers and India is in competition with China. The prime minister should call upon Chinese President and ask them to stop pakistan from using terrorism against our country. Only one solution boss. Kill all terrorists by sending troops inside Pakistan. They do not understand the language of love they need attack from our brave soldiers who will show them their real place which is hell. NSA level talks will fail unless our neighbour deals with ISI and their army. Pakistan should learn that just because of these morons people are suffering with poverty, illiteracy, power outrage and nil development. Take back Kashmir from Pakistan that they have illegally occupied. Once we take Kashmir then they will approach USA and China but these countries are now economically weak so they will not come forward to help pakistan army. Mr. Ullah, this is the reality at ground level. But our filthy politicians in both countries not understand the “Values of Relationship in both countries. ………hmm……. I think that on the basis of comments and articles on beef controversy and eating of beef, comments and articles on Israel and Palestine, it is good that partition of India had taken place because Muslim India thinks one way on beef eating and Palestine as well as J&K, the Hindu India thinks in another way. Had partition not taken place then there would have been more riots and civil wars. However, the partition could have been complete and peaceful. Its not my first time to visit this web site, i am visiting this web page dailly and obtain nice information from here everyday. People who say that war with pakistan is the only solution are totally insane. You know when First and Second world war happened India was in deep economic trouble. War will only increase taxes on common people.